If you were just in an accident you might be asking the big common questions – Who’s at fault for my accident and how is fault determined with car accidents? These questions are important because At-fault states, like Louisiana, require the insurance company of the at-fault driver to pay for all of the damages that the accident created. Not all states use the at-fault system but Louisiana does. A few states are no-fault states, which means each driver’s insurance company is responsible for covering their client, regardless of who was at-fault. Louisiana has a ‘comparative fault’ factor built into their at-fault system, which means each driver involved in the accident can be at-fault to a certain percent. 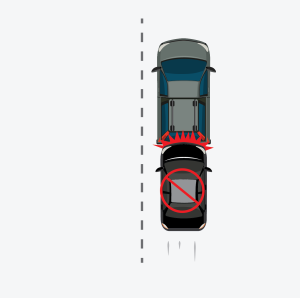 Meaning – multiple drivers and possibly even all of the drivers involved in the accident can be at-fault to a certain degree. This can end up saving an insurance company money because they don’t have to cover 100% of the damages if another driver could’ve done something to prevent the accident. Let’s imagine an accident just happened and it was the most common accident on the road the ‘fender bender’. You happened to be driving and you saw a friend walking so you slowed down, far below the speed limit. A driver from behind was on his phone and wasn’t as focused and he slams right into you. In this example, the driver who hit you would be responsible for covering 100% of the damages in most states. However in Louisiana, if that driver’s insurance company has a good claims adjuster, who ends up connecting with your friend. It can result in you being at-fault for some of the percentage of the accident because you were an ‘obstruction of traffic’. Being the declared driver at-fault to any percent can then end up raising your premiums, result in a traffic citation, and can possibly result in other expenses not covered by the insurance companies. 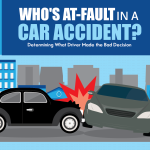 Determining who was at-fault for a car accident is where things can get tricky and confusing. 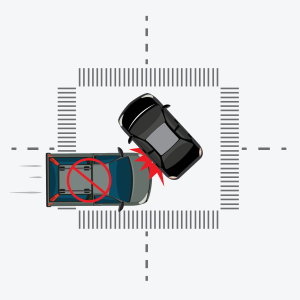 Not all accidents are simple enough to easily determine whose at-fault. Serious accidents will usually result in police officer interference. The role of the local authorities will be to determine what happened, and what drivers broke the law. This will then be filed away in a police report. The police report is not actual evidence of who was at-fault but it addresses the information the officers collected on the scene. In a court setting the police report can be referred to as ‘hearsay’ evidence, which is just an out-of-court statement. Which is not real evidence. Insurance companies will use police reports and will use it against drivers to offer very low or no settlements at all. Traffic tickets and possible arrests can be made by police officers, other than that the police office doesn’t play the role of who determines who was at-fault. Insurance companies will play a main role in determining who was at-fault, because not all car accidents end up in a lawsuit. Insurance companies usually pay the whole bill, so they’ll want to know the details. They have set aside claims adjusters who will investigate or control the investigation of the car accident. Adjusters will look at everything that can give them any clues to what actually happened in the accident. That can include speaking with witnesses, finding and looking over evidence, reviewing records…etc. The adjuster will determine who they believe is at-fault. If there are disagreements going on between the parties involved it can be taken to court if one of the believed victim files a lawsuit. Insurance companies will do everything to prevent it from going to trial because that can end up costing them with legal fees on top of the accident. If not settled outside of court the court will examine everything and will then determine who owes what to who. Hiring a good auto accident lawyer is vital to your success at this point so be sure to connect with one of our attorneys. A simple example of reasonable care would be if you’re turning left while vehicles are coming in the opposite oncoming direction. If you yield and wait until there’s a good opening to go left you’re acting with reasonable care. Now imagine that same scenario but a driver is driving excessively above the speed limit in the oncoming lane. Claims adjustors will be able to identify the driver who wasn’t acting with reasonable care in a situation where the driver turning left is usually at-fault because they act with neglect on their ability to yield.